Diocese of Chester | Bishop Libby: "It diminishes God to diminish women"
Bishop Libby: "It diminishes God to diminish women"
Bishop Libby Lane and Rabbi Robyn Ashworth-Steen have held an open dialogue as part of events to mark the centenary of women being given the right to vote and stand for election in the UK. They shared their experiences as women leaders in their respective faith communities and reflected together on women’s rights and the issues raised by the anniversary of partial suffrage which came to pass 100 years ago. The conversation took place at the Manchester Jewish Museum on Wednesday 05 December and is available to listen to as a podcast as part of the Diocese of Chester’s Big #Freeto Conversation, a season of conversation about women’s rights. During the conversation, Bishop Libby recounted how her episcopal ministry had been marked by conversations in which people of faith and of none had expressed a sense of “hope, encouragement and affirmation” that she held the role of bishop. However, Bishop Libby and Rabbi Robyn both said that they are undermined by unconscious sexism. 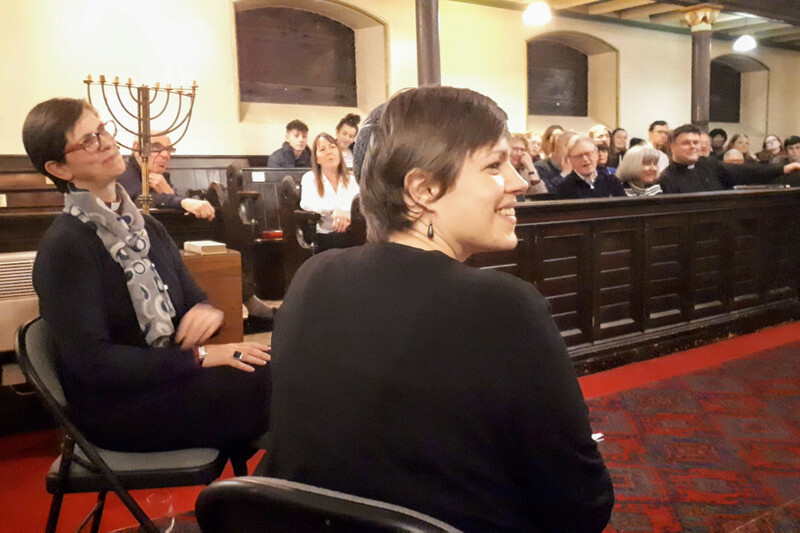 Rabbi Robyn was the first woman to be appointed a Rabbi in a Manchester synagogue when she became Associate Rabbi of Manchester Reform Congregation in Jackson's Row. Bishop Libby was the first woman to be consecrated a bishop in the Church of England when she became the Bishop of Stockport in the Diocese of Chester. The dialogue formed this year’s Maurice Brunner Memorial Lecture, an annual lecture series hosted by the Manchester Council of Christians and Jews. In November, Bishop Libby launched The Big #Freeto Conversation, a season of conversation about women’s rights. 1. What is it that we are free to do today, thanks to the women that have gone before us? 2. What do you hope women may be free to do in the future, so we all may live life to the full? Taking part in The Big #Freeto Conversation is easy. Simply complete the survey below or share your comments on the Diocese of Chester's Facebook page using the hashtag #Freeto.